History of Dissolvable Thread Lift is long. Then Polydioxanone Suture is it safe? 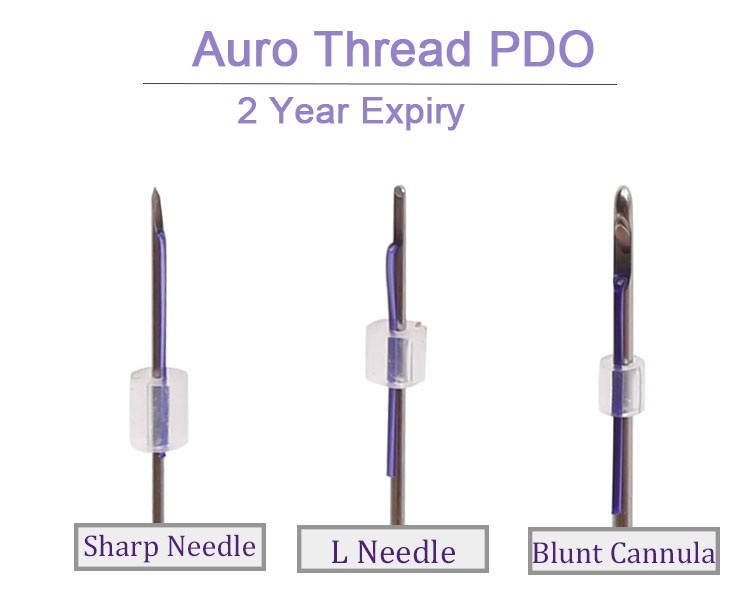 When performed by an experienced thread-lift surgeon, the thread-lift surgical procedure is very safe however as with all cosmetic surgical treatments there are some risks involved.The most undesirable Thread Lift dangers are migration of sutures, or sutures that become visible under the skin. If this happens you may require additional surgery to correct the problem or remove the threads completely. 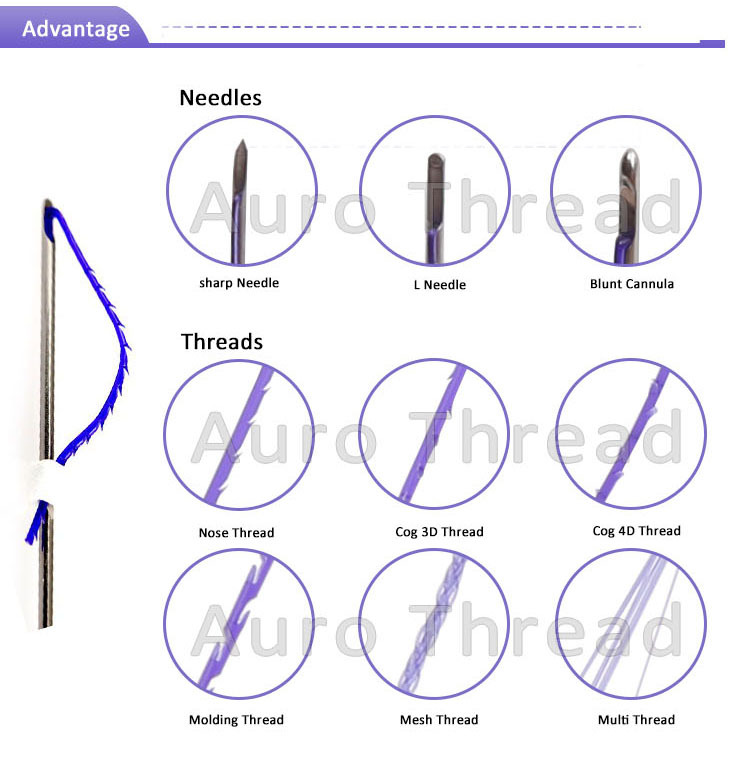 Auro Thread is a thread with no cones, so Thread Lift Face is no damage to the tissue and it is very safe. Aging causes the skin tissue to be thin because the collagen and elastin fibers break down, which results in sagging skin, deep creases, folds and wrinkles. Silhouette Face Lift reverses the effects of aging. At first make small 1-2mm incisions at various points on the face. And then insert the hollow needle into the skin to put the threads in place. 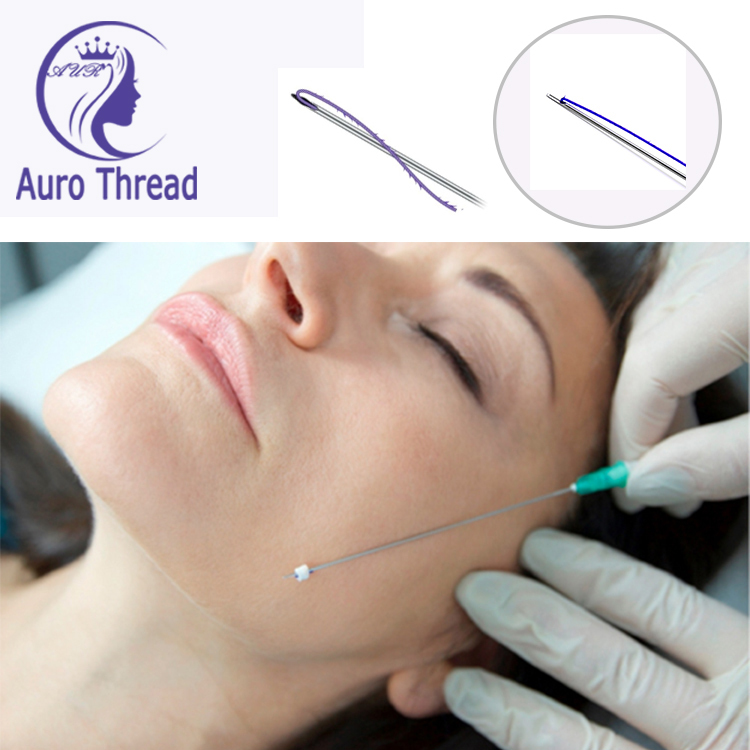 Attach the Thread Face Lift to the fat underneath the skin, then be adjusted to tighten and smooth the contours of face. At last, trim the excess threads . 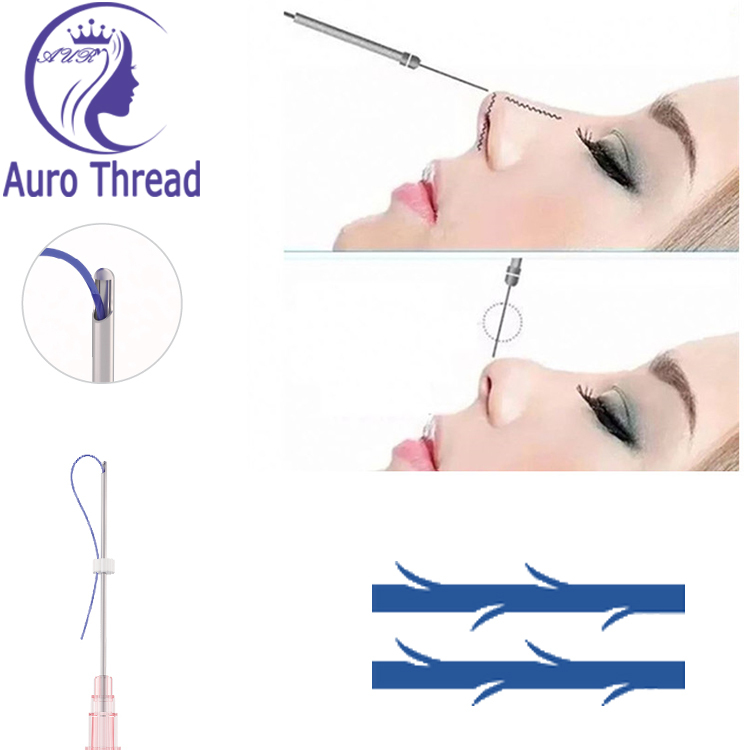 Auro Technology Limited is a leading innovator of advanced aesthetic medical technologies. 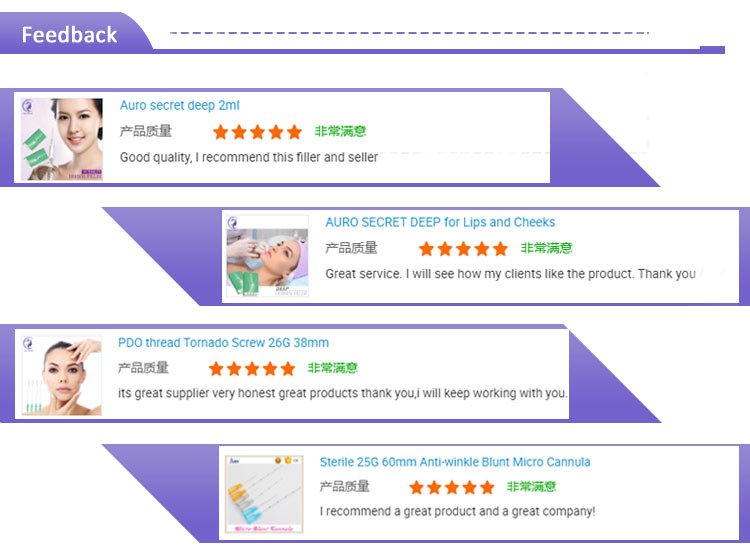 The Company sells its products under three distinct brands,Auro PDO Thread, Auro Secret Dermal Filler and Blunt Cannulas. The company is always looking forward to developing new solutions, products and industry-leading services designed around the needs of our partner physicians. 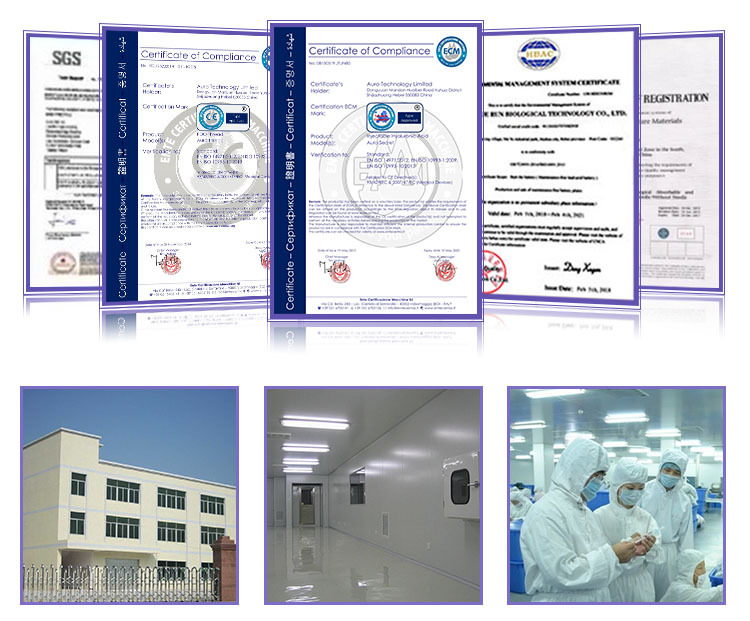 So that can deliver better results, faster and safer than ever before. 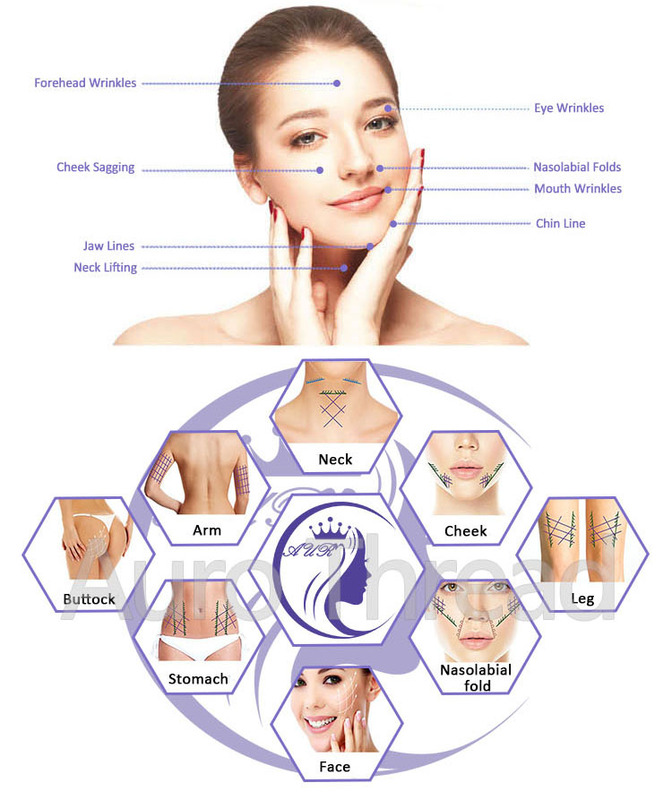 The Company's technology enables physicians to provide excellent solutions for a broad range of medical-aesthetic applications including face and, resurfacing skin, eliminating fine lines or wrinkles treating. We`ve built in the easy of use, versatility, intuitiveness and value that allow physicians to do what they do best. 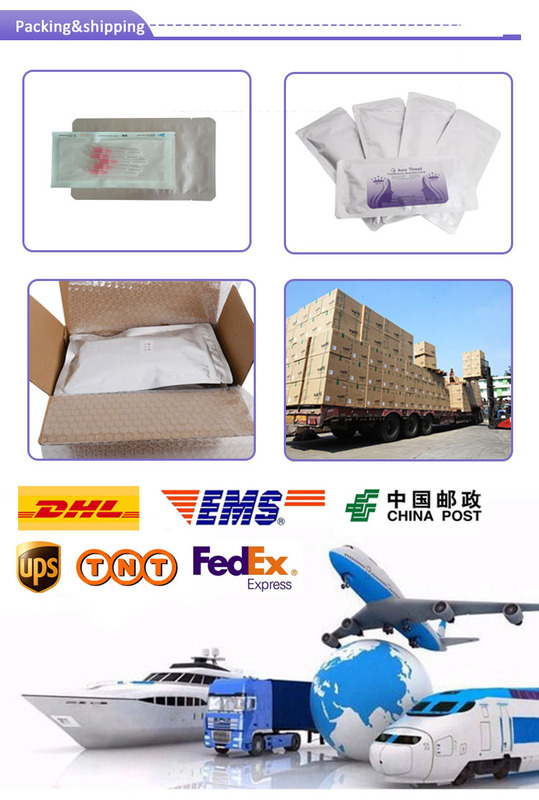 OEM&ODM service is available . 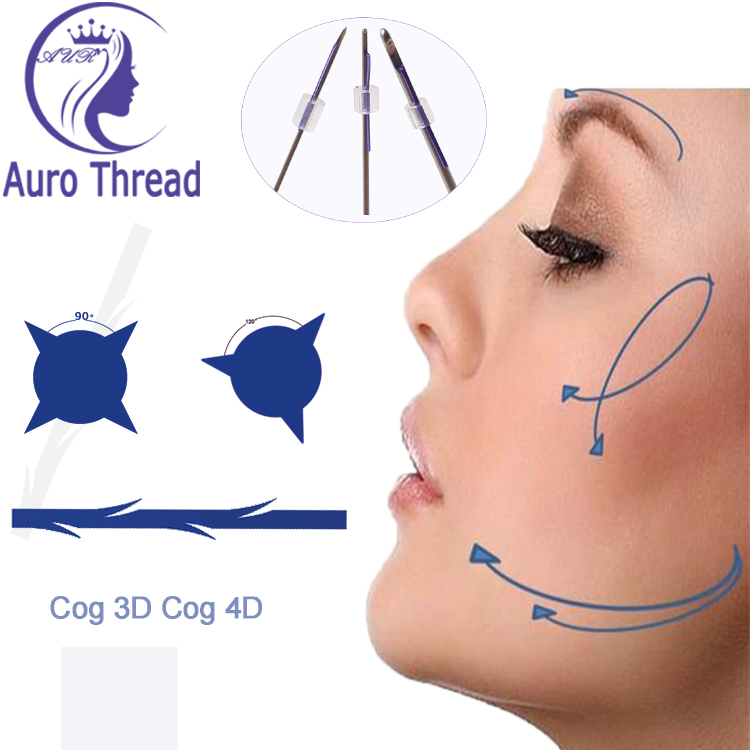 You+AURO=BEAUTY Welcome conatct us for details.